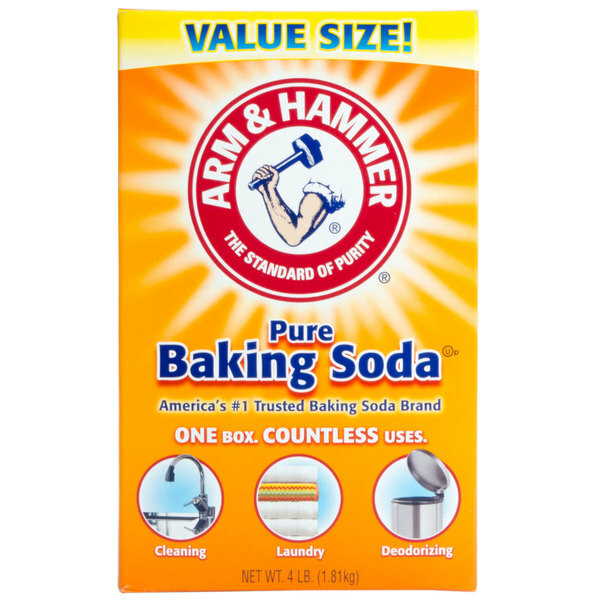 Arm & Hammer baking soda is your all-in-one product for baking, cleaning, and deodorizing. When baking, baking soda acts as a powerful leavening agent to create light, fluffy pastries, cakes, and cookies. For cleaning purposes, baking soda penetrates deep to neutralize and eliminate odors at their source instead of simply masking them. Free of harsh chemicals and gentle on delicate surfaces, this all-natural, non-toxic baking soda is safe for use around children and pets in virtually any space. 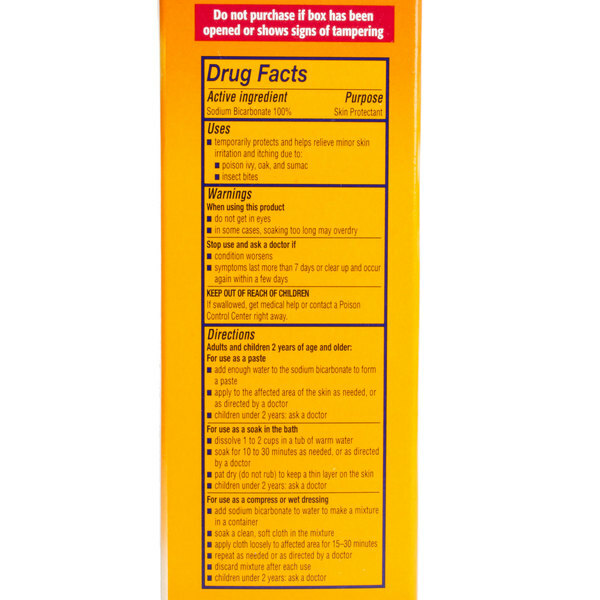 Be sure to store it in a cool, dry place, away from incompatible substances, such as acids, to avoid unwanted chemical reactions. It features perforations on the box for easy opening and convenient use. 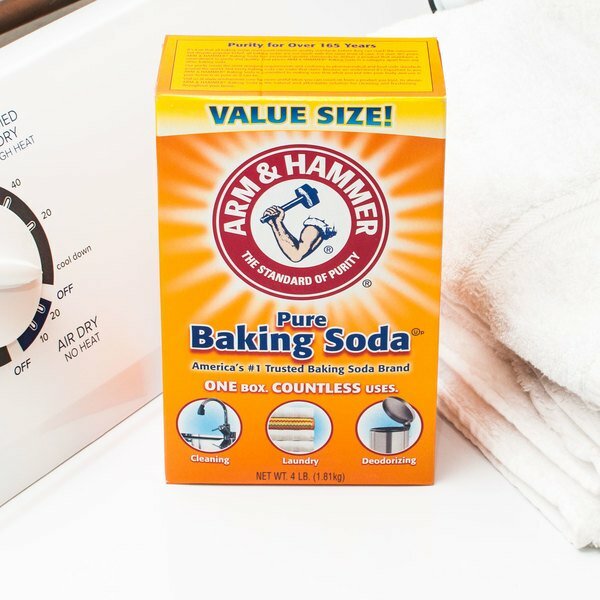 With multiple uses that include cleaning coffee makers, freshening laundry, and deodorizing dishwashers, this Arm & Hammer baking soda is the perfect addition to both your kitchen pantry and cleaning closet. Baking soda is just baking soda. However, why not buy it from here with all your other supplies! Great value and the same great product that you’d expect from webstaurant! Not only do I use this for cooking but also for cleaning. The boxes are a nice size so they can easily be handled, they came in perfect shape, no damage. Yep baking soda. Very exciting stuff. This seems to be a great price for Arm and Hammer Baking soda. Large quantity and good quality stuff. 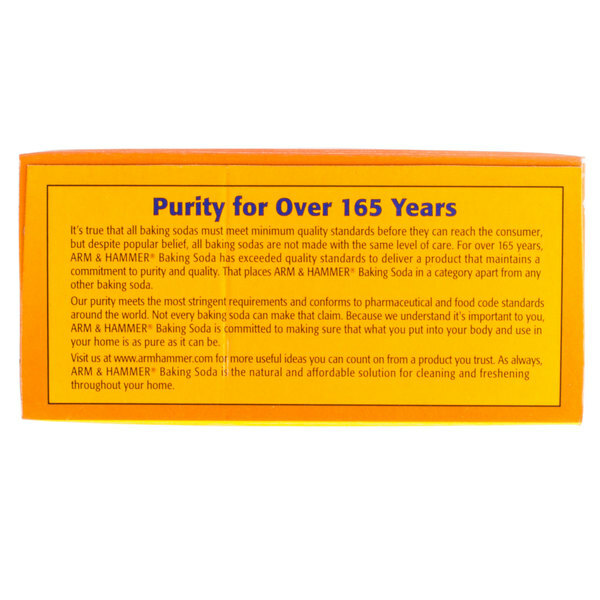 Bought this for my home bakery as we go through a lot of baking soda as it has so many uses outside of just baking! The price was much cheaper than anywhere else and it arrived quickly! Side bonus... If you have a child who likes making slime this baking soda works great as an activator with saline solution and is so much cheaper than buying activator! Will definitely be ordering more asap! 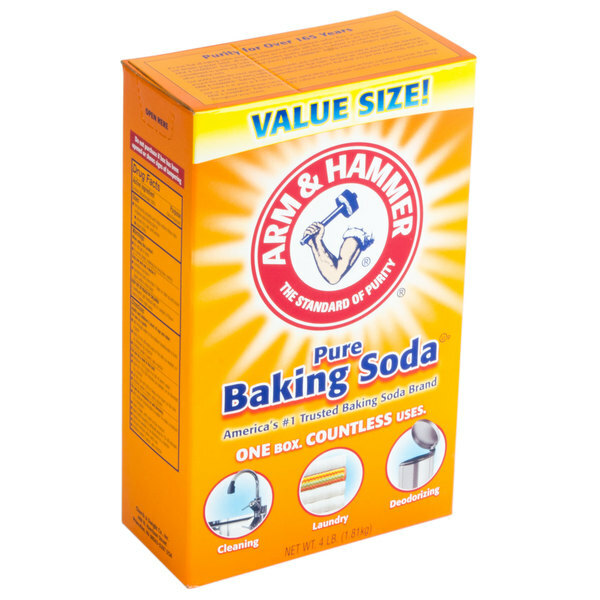 Arm and Hammer is a staple for the baking soda industry and thank god webstaurant has it in bulk. I use this to clean and unclog my drains and it works WONDERS!!!! This product is the exact same box you can buy in the grocery store but at a fraction of the price. I use it for cleaning and baking and it works really well. I had some cake pans that went through the dishwasher and were stored without being dried first. This big box of baking soda certainly came in handy to scrub out the rust spots from the cake pans. This value sized box of baking soda was a great deal and delivered safely without damage. It was cheap and exactly what I expected it to be. Just found this larger size and the saving are even better. 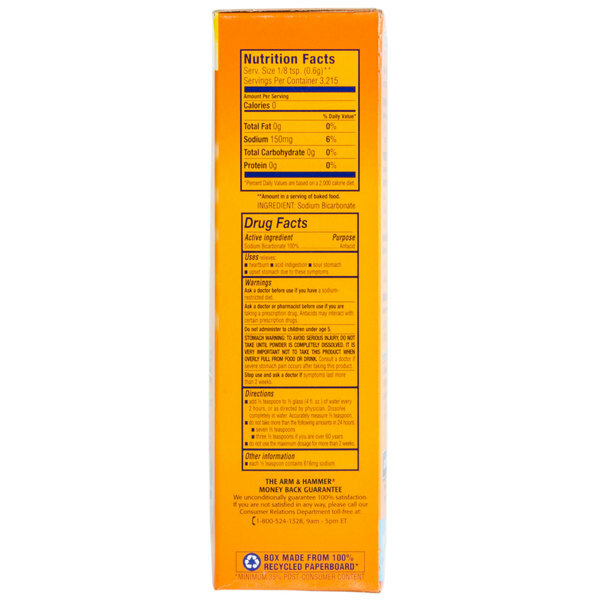 We use baking soda in a lot of recipes at our bake shop. Top brand name at a super low price. I wish I could order everything from you! Two boxes were cut on bottom. Powder in box. What a mess. But like price n is worth some headaches I quess to buy on line. 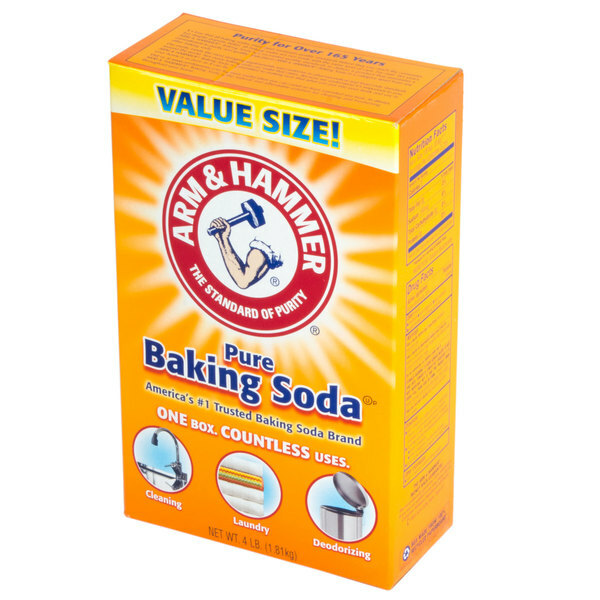 The arm & hammer baking soda is amazing and an excellent soda for baking. The soda is great and really helps the baked goods have perfect consistency. Great bulk option for baking soda.. I use a lot of it for my baking business. The small boxes go fast when you’re baking daily. These are also great to throw in the fridge to keep your baked goods from absorbing any other flavors or odors. Good price.. excellent value! Last forever. huge box of arm and hammer baking soda is nice to have. priced right. we use this for all kinds of things in our store. This 4 lb box of baking soda is great! It’s convenient to order from the Webstaurant Store and isn’t too bulky to pour from. I used it in my crafting business in a fake snow sensory kit with fabulous results! It’s fresh and I appreciate that! Great value for the price. This is a nice size to have in the home for laundry or cleaning. Can be used for baking or to eliminate odors as well. Great product! I would highly recommend this baking soda. It is so versatile and will never go to waste. If you can't think of what to do with it just put an open box in your fridge! 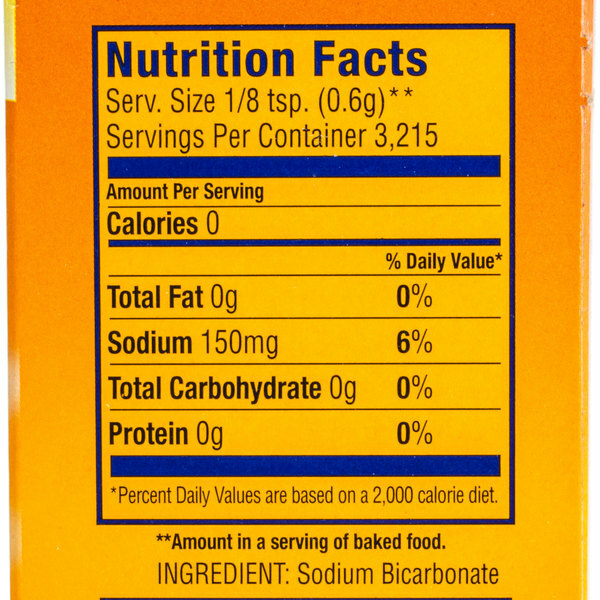 This baking soda has literally hundreds of uses. Perfect for laundry and cleaning pots alike, this 4 pound box gives you enough to try all the uses out for yourself! This is a great deal as baking soda is so useful for cooking, cleaning and odor removal! 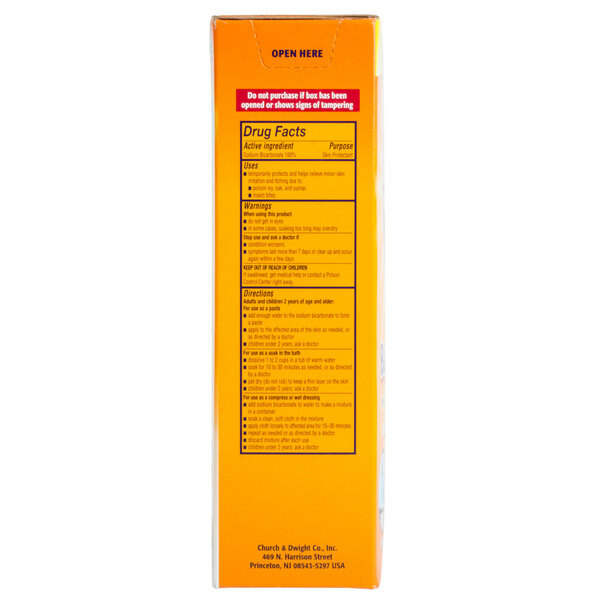 It is super helpful with washing and needed in lots of cooking. 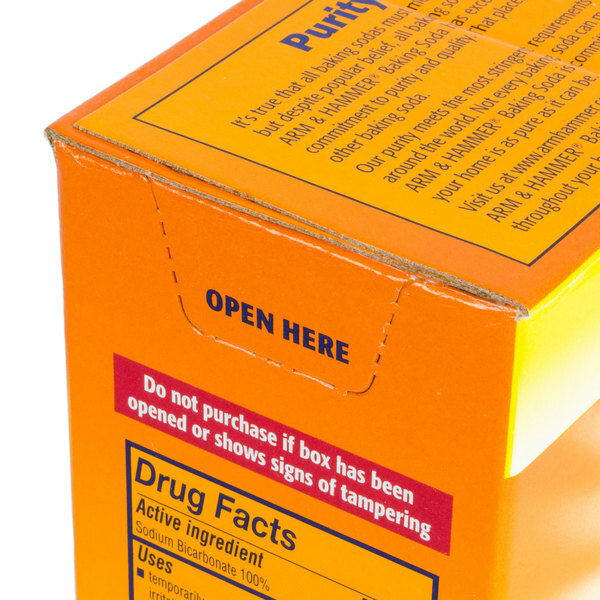 This box is high quality but you need to put it in a zip bag or container as the dusty backing soda leaks through it. A great economical way to buy baking soda. I go through a lot of baking soda at home to clean pots, pans, the floor, and the sink (+ vinegar). It's also great to reduce odors.